Karen Friedman is an international communications expert who has worked with professionals on four continents. 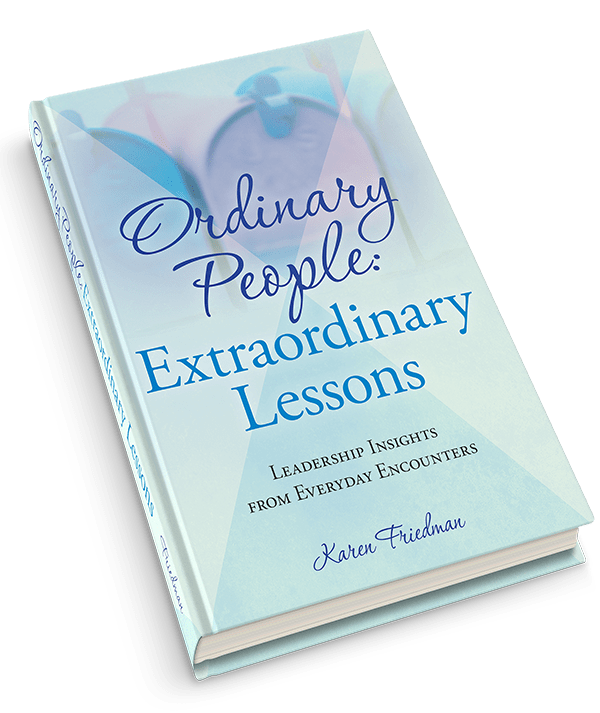 Author of the best-selling book ‘Shut Up and Say Something’ (Praeger Publishing), and Ordinary People: Extraordinary Lessons, she heads Karen Friedman Enterprises, Inc. which has been teaching professionals how to become more compelling communicators for two decades. Her expertise was recognized by former First Lady Hillary Rodham Clinton who tapped Karen to provide media and political training for women in South and Central America. Since then, her firm has worked across industries, with a specialty in life sciences and pharmaceuticals coaching executives, key opinion leaders and teaching patient advocates how to share their stories with impact. She has prepared scores of spokespeople for FDA meetings, investor presentations, high profile media interviews, IPO’s, congressional hearings, panel discussions and leadership events. Karen spent more than two decades as an award-winning major market television news reporter whose breaking coverage of local and national events aired on ABC, CBS, NBC, CNN, the Today Show, Good Morning America and Nightline. Her last stop was ABC-TV Action News in Philadelphia. Today, she continues to write as a columnist for the Philadelphia Business Journal and her articles are syndicated nationwide. Karen is adjunct faculty at Smith College’s prestigious executive education programs for women where she teaches leadership communications. In addition, she hosts the popular Internet TV and radio series Speaking Of on ReachMD which helps health care professionals improve their communication skills. She is also the co-creator of Presenters Pal™, the first on-line interactive tool to help professionals present like pros. Frequently quoted by publications such as the New York Times, Wall Street Journal, USA Today, Forbes, Fortune and CNN Money, Karen is a professional speaker who has repeatedly received top rated speaker awards. Her articles on leadership and communication techniques are regularly published in business magazines and on-line sites and her popular monthly communication video tips are viewed by thousands of subscribers. 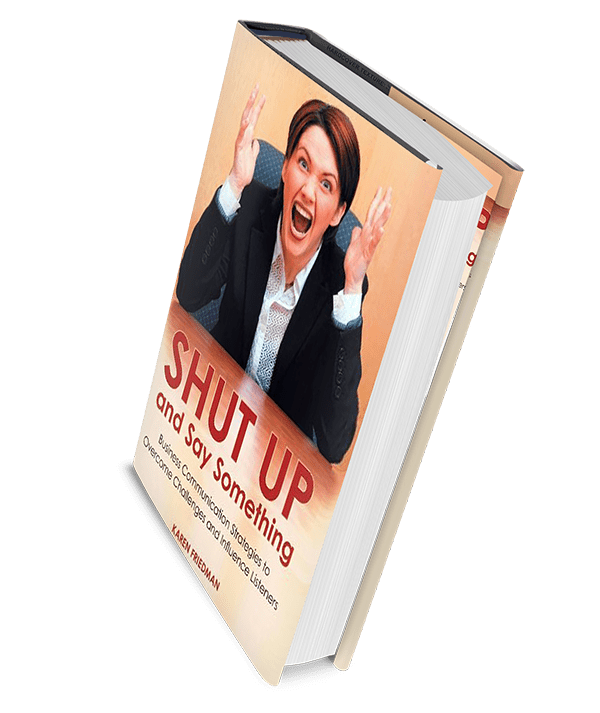 Other published works include Speaking of Success, which she co-authored with several best-selling writers including Stephen R. Covey (Seven Habits of Highly Effective People), Ken Blanchard (One Minute Manager) and Jack Canfield (co-creator of Chicken Soup for the Soul). Karen earned her degree at the Pennsylvania State University and furthered her studies at the University of Manchester in England. She is a member of numerous organizations including the National Speakers Association, International Association of Business Communicators, Public Relations Society of America, American Society of Training and Development and the Healthcare Businesswomen’s Association where she consistently receives the top rated speaker award at international leadership conferences. Karen lives in the Philadelphia area with her family.